Multi-vitamins for your dog and cat are essential for healthy growth, vitality, and overall health. Containing only the highest quality ingredients for your pet, our dog and cat multivitamins have essential fatty acids, minerals, and amino acids to help your pet’s immune system, heart health, and brain health. 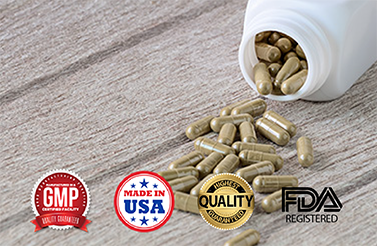 At BioThrive Sciences, we help manufacture, formulate, and create the perfect balance of custom dog and cat multivitamins for your company’s wishes and needs. Amino Acids: adding amino acids to your cat and dog’s health are essential when building healthy muscles, a healthy heart, and a healthy brain. Fatty Acids: the essential fatty acids that are found in your pet’s multivitamin are essential for combatting arthritis in aging dogs or cats and can also relieve dry and itchy skin. Minerals: it’s important to use high quality minerals with all the essentials when discussing multivitamins. After all, minerals are important for healthy bones and teeth for your cat and/or dog. What Vitamins are Needed in my Cat & Dog Multivitamins? Vitamin A: to help keep your pet’s immunity and bone growth healthy, Vitamin A must be included in their diet. Vitamin D: another great addition for healthy bones, Vitamin D regulates the level of calcium and maintains phosphorous levels in the blood. Vitamin E: this great vitamin is known for many health benefits for your pet, including balancing cholesterol, repairing damaged skin, and improving vision. Vitamin K: has your dog or cat been injured? Then Vitamin K will help with its role with regulating normal blood clotting and will decrease the risk of bone fractures. Vitamin C: this vitamin’s role is necessary for repairing body tissue and helping wounds heal. Vitamin B: B vitamins help reduce the risk of stroke, meaning your pet will have a long, healthy life. Why Isn’t My Dog and Cat Food Enough When It Comes To Nutrients? If you’ve witnessed your dog eating grass outside or if you’ve noticed your cat is constipated, it may be due to an upset stomach, which could therefore be due to a nutritional imbalance. Most commercial pet foods don’t contain the essential nutrients when it comes to all the vitamins and minerals needed. Most commercial dog and cat foods advertise flavor and sustenance, not so much quality. Adding a multivitamin to their diet can help exponentially for your dog or cat’s overall wellbeing. BioThrive Sciences is the go-to source for all your private label manufacturing needs for pet supplements. We create everything from private labeling to creating the perfect custom formula for your needs. We work with you and your business to create the perfect vitamin manufacturing experience in every step of the way. Contact us at 844-263-3657 or fill out our convenient online form. We look forward to working with you and your vitamin creating process!